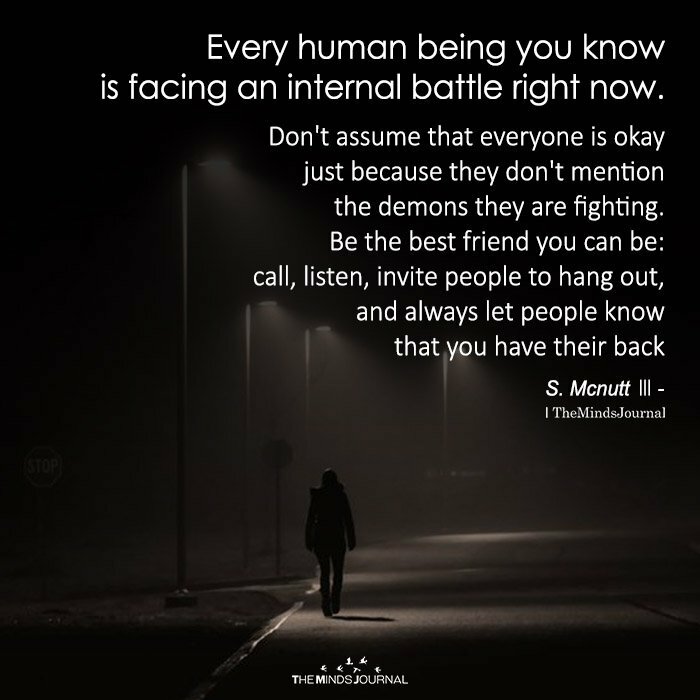 Every human being you know is facing an internal battle right now. Don’t assume that everyone is okay just because they don’t mention the demons they are fighting. Be the best friend you can be: call, listen, invite people to hang out, and always let people know that you have their back. Help me to share this to your friends.